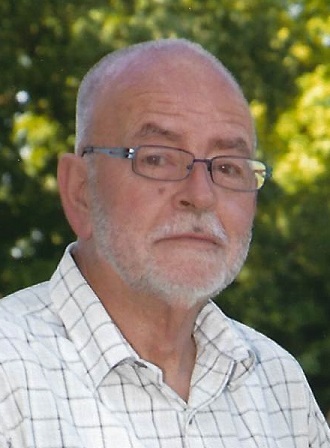 Paul R. Embly, Sr., 74, of Smithsburg, MD, was released from the bonds of Parkinson’s Disease / Dementia and called home to be with his Lord and Savior, Tuesday, April 9, 2019 from his home while surrounded by his loving family. Born Friday, January 26, 1945 in Franklin County, PA, he was the son of the late Henry Mitchell Embly and Edna Marie (Swope) Embly. He was a member of Greenbrier Baptist Church of Hagerstown, MD, and the Hagerstown Parkinson’s Support Group. Paul is survived by his loving wife of 53 years, Linda Mae (Ferguson) Embly whom he married March 12, 1966, Daughters, Bonnie S. Embly (Ron) and Belinda L. Neff (Mark), son, Paul “Rob” Embly, Jr. (Denise), sister, Anna Degrange, grandson, Dylan Neff and his faithful canine companions Duffie and Diggie Dan. He was preceded in death by brothers, Kenny Embly and David Embly, sister, Sharon Embly and granddaughter, Catherine Elizabeth Embly. Services will be held Monday, April 15, 2019 at 11:00am at J.L. Davis Funeral Home, Smithsburg, MD, with Pastor David Hughes officiating. Burial will be in Beaver Creek Cemetery. The family will receive friends Sunday afternoon from 2-4pm at the funeral home. In lieu of flowers, memorial donations may be made to J.L. Davis Funeral Home to help defray funeral expenses or to Hagerstown Parkinson’s Support Group, 22215 Troy Ln. Hagerstown, MD, 21742. Online condolences may be offered at www.jldavisfh.com.